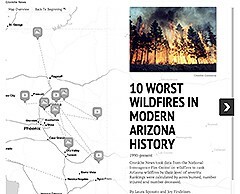 SCOTTSDALE – Nearly two years ago, 19 firefighters died fighting a blaze near Yarnell. Since then, experts have looked for ways to prevent another tragedy. 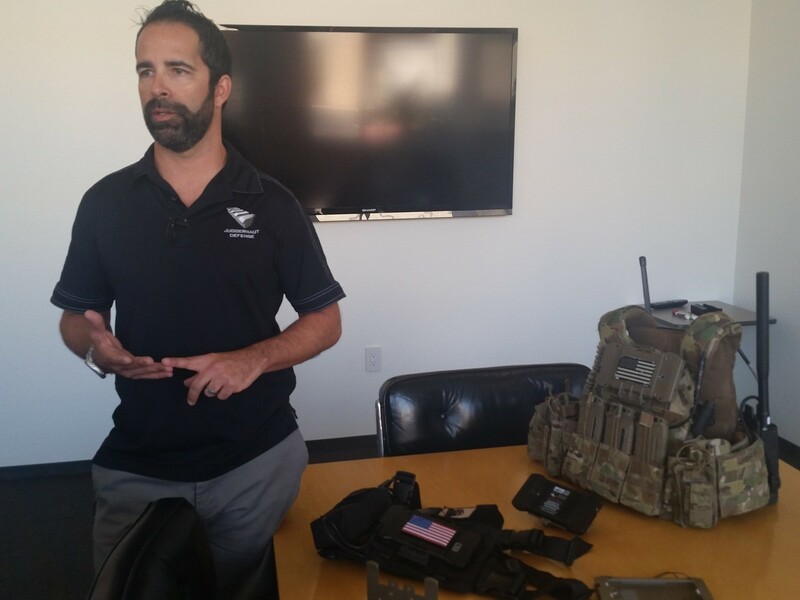 They said they hope one new piece of communication technology, previously used by the military and adapted for wildfire firefighters, will help. Ralph Lucas, a battalion chief with Prescott fire, said he knew all 19 members of the Granite Mountain Hotshot crew. And when federal officials approached him to test the communication and tracking system, he saw an opportunity to help protect other firefighters. 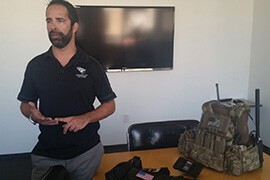 The Defense Advanced Research Project Agency, which creates and researches technology for the U.S. Department of Defense, developed the system, known as FLASH or Fire Line Advanced Situational Awareness for Handhelds. 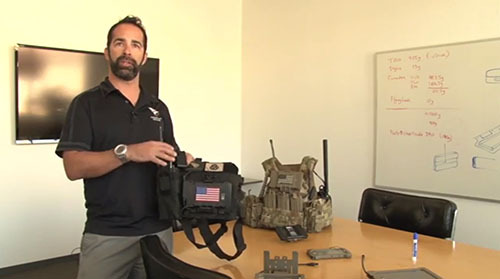 Special operations groups like the Navy SEALS and Army Green Berets used the system during combat. But after the Yarnell Hill Fire, the agency began looking at civilian applications for the system. 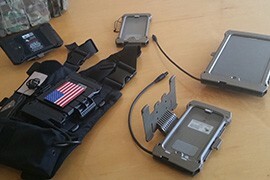 FLASH uses radios, handheld tablet computers and air-mounted sensors to create an interactive “battlefield” for fighting fires. Firefighters on the ground can track fire locations and command units can coordinate how best to fight the flames. Stalzer said situational awareness is key to firefighting, especially in diverse terrain. In some areas, it can be nearly impossible to communicate because of a lack of relay antennas or geographic barriers, but FLASH can overcome these issues by creating a “mesh” network made from the radios and other technology each individual or team carries. The system weighs about 15 pounds and has a battery life of 12 to 15 hours with heavy use. It is designed to go into the most rugged areas and survive underwater or in heavy dust. But the system isn’t ready for widespread use just yet. Lucas and Prescott Fire have been beta testing the FLASH system since summer 2014. The battalion chief said he expects a lighter, more effective system will be available by the 2016 wildfire season. Stalzer agreed. He said his company is re-working its designs to shed weight and create something more effective. Technology can help, but it is only part of the fire fighting equation, experts said. Newton works with Mesa Community College’s Virtual Incident Command Training Center, which specializes in training new firefighters and further educating those already on the force. Cronkite News reporters Julia Thatcher and Lauren Klenda contributed to this article. New software to help firefighters better communicate during wildfires is being tested by Prescott's hotshot crews. Cronkite News reporter Julia Thatcher checked out F.L.A.S.H. technology, which could possibly prevent a tragedy like the deaths of 19 hotshots in northern Arizona in 2013. 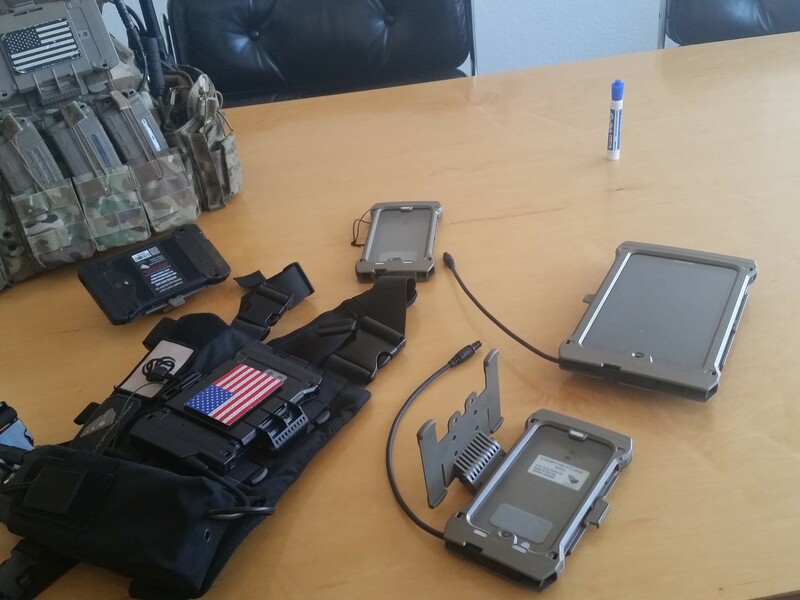 A new communication and tracking system known as FLASH, or Fire Line Advanced Situational Awareness for Handhelds, was developed by the Defense Advanced Research Project Agency. Chris Stalzer, princpal at Scottsdale-based Juggernaut Defense, helped develop physical components of FLASH and its military counterpart.